Red Ochre provides advisory professional services aimed specifically at the social economy and civil society. Support is always in line with current practice and as accessible as possible. Bespoke consultancy – delivering tailor made business support to individuals and organisations. Training – Developing and delivering bespoke, accredited and public training. Enterprise programmes– Designing, delivering and project managing capacity building programmes on behalf of commissioners, through a mix of one-to-one support, training, mentoring and networking support (over 1 to 3 years). Research and publications – Undertaking thorough research at a local and national level, on key issues, writing guides, toolkits and marketing leaflets. Impact and evaluation – Working with individuals and organisations to measure and understand their impact. Mentoring and coaching – Bespoke mentoring and coaching for individuals and teams. 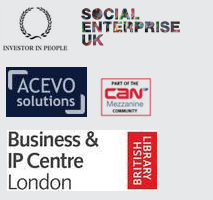 Our clients range from aspiring change makers and social entrepreneurs to large charities, government departments and public agencies.